3) is a halocarbon commonly used as an industrial solvent. It is a clear non-flammable liquid with a sweet smell. It should not be confused with the similar 1,1,1-trichloroethane, which is commonly known as chlorothene. The IUPAC name is trichloroethene. Industrial abbreviations include TCE, trichlor, Trike, Tricky and tri. It has been sold under a variety of trade names. Under the trade names Trimar and Trilene, trichloroethylene was used as a volatile anesthetic and as an inhaled obstetrical analgesic in millions of patients. Pioneered by Imperial Chemical Industries in Britain, its development was hailed as an anesthetic revolution. Originally thought to possess less hepatotoxicity than chloroform, and without the unpleasant pungency and flammability of ether, TCE use was nonetheless soon found to have several pitfalls. These included promotion of cardiac arrhythmias, low volatility and high solubility preventing quick anesthetic induction, reactions with soda lime used in carbon dioxide absorbing systems, prolonged neurologic dysfunction when used with soda lime, and evidence of hepatotoxicity as had been found with chloroform. The introduction of halothane in 1956 greatly diminished the use of TCE as a general anesthetic. TCE was still used as an inhalation analgesic in childbirth given by self-administration. Fetal toxicity and concerns for carcinogenic potential of TCE led to its abandonment in developed countries by the 1980s. Due to concerns about its toxicity, the use of trichloroethylene in the food and pharmaceutical industries has been banned in much of the world since the 1970s. Legislation has forced the substitution of trichloroethylene in many processes in Europe as the chemical was classified as a carcinogen carrying an R45 risk phrase, May cause cancer. Many degreasing chemical alternatives are being promoted such as Ensolv and Leksol; however, each of these is based on n-propyl bromide which carries an R60 risk phrase of May impair fertility, and they would not be a legally acceptable substitute. Groundwater contamination by TCE has become an important environmental concern for human exposure. In 2005 it was announced by the United States Environmental Protection Agency that the agency had completed its Final Health Assessment for Trichloroethylene and released a list of new TCE toxicity values. The results of the study have formally characterized the chemical as a human carcinogen and a non-carcinogenic health hazard. A 2011 toxicological review performed by the EPA continues to list trichloroethylene as a known carcinogen. Today, however, most trichloroethylene is produced from ethylene. First, ethylene is chlorinated over a ferric chloride catalyst to produce 1,2-dichloroethane. This reaction can be catalyzed by a variety of substances. The most commonly used catalyst is a mixture of potassium chloride and aluminum chloride. However, various forms of porous carbon can also be used. This reaction produces tetrachloroethylene as a byproduct, and depending on the amount of chlorine fed to the reaction, tetrachloroethylene can even be the major product. Typically, trichloroethylene and tetrachloroethylene are collected together and then separated by distillation. Trichloroethylene is an effective organic materials. When it was first widely produced in the 1920s, trichloroethylene's major use was to extract vegetable oils from plant materials such as soy, coconut, and palm. Other uses in the food industry included coffee decaffeination and the preparation of flavoring extracts from hops and spices. It has also been used for drying out the last bit of water for production of 100% ethanol. From the 1930s through the 1970s, both in Europe and in North America, trichloroethylene was used as a volatile anesthetic almost invariably administered with nitrous oxide. Marketed in the UK by ICI under the trade name Trilene it was coloured blue (with a dye called waxoline blue) to avoid confusion with the similar smelling chloroform. TCE replaced earlier anesthetics chloroform and ether in the 1940s, but was itself replaced in the 1960s in developed countries with the introduction of halothane, which allowed much faster induction and recovery times. Trilene was also used as a potent inhaled analgesic, mainly during childbirth. It was used with halothane in the Tri-service field anaesthetic apparatus used by the UK armed forces under field conditions. As of 2000, however, TCE was still in use as an anesthetic in Africa. It has also been used as a dry cleaning solvent, although replaced in the 1950s by tetrachloroethylene (also known as perchloroethylene), except for spot cleaning where it was used until the year 2000. Trichloroethylene was marketed as 'Ecco 1500 Anti-Static Film Cleaner and Conditioner' until 2009, for use in automatic movie film cleaning machines, and for manual cleaning with lint-free wipes. Perhaps the greatest use of TCE has been as a degreaser for metal parts. The demand for TCE as a degreaser began to decline in the 1950s in favor of the less toxic 1,1,1-trichloroethane. However, 1,1,1-trichloroethane production has been phased out in most of the world under the terms of the Montreal Protocol, and as a result trichloroethylene has experienced some resurgence in use as a degreaser. TCE has also been used in the United States to clean kerosene-fueled rocket engines (TCE was not used to clean hydrogen-fueled engines such as the Space Shuttle Main Engine). During static firing, the RP-1 fuel would leave hydrocarbon deposits and vapors in the engine. These deposits had to be flushed from the engine to avoid the possibility of explosion during engine handling and future firing. TCE was used to flush the engine's fuel system immediately before and after each test firing. The flushing procedure involved pumping TCE through the engine's fuel system and letting the solvent overflow for a period ranging from several seconds to 30–35 minutes, depending upon the engine. For some engines, the engine's gas generator and LOX dome were also flushed with TCE prior to test firing. The F-1 rocket engine had its LOX dome, gas generator, and thrust chamber fuel jacket flushed with TCE during launch preparations. TCE is also used in the manufacture of a range of fluorocarbon refrigerants such as 1,1,1,2-Tetrafluoroethane more commonly known as HFC 134a. Despite its widespread use as a metal degreaser, trichloroethylene itself is unstable in the presence of metal over prolonged exposure. As early as 1961 this phenomenon was recognized by the manufacturing industry, when stabilizing additives were added in the commercial formulation. Since the reactive instability is accentuated by higher temperatures, the search for stabilizing additives was conducted by heating trichloroethylene to its boiling point in a reflux condenser and observing decomposition. The first widely used stabilizing additive was dioxane; however, its use was patented by Dow Chemical Company and could not be used by other manufacturers. Considerable research took place in the 1960s to develop alternative stabilizers for trichloroethylene. Other chemical stabilizers include ketones such as methyl ethyl ketone. When inhaled, trichloroethylene produces central nervous system depression resulting in general anesthesia. Its high blood solubility results in a less desirable slower induction of anesthesia. At low concentrations it is relatively non-irritating to the respiratory tract. Higher concentrations result in tachypnea. Many types of cardiac arrhythmias can occur and are exacerbated by epinephrine (adrenaline). It was noted in the 1940s that TCE reacted with carbon dioxide (CO2) absorbing systems (soda lime) to produce dichloroacetylene and phosgene. Cranial nerve dysfunction (especially the fifth cranial nerve) was common when TCE anesthesia was given using CO2 absorbing systems. These nerve deficits could last for months. Occasionally facial numbness was permanent. Muscle relaxation with TCE anesthesia sufficient for surgery was poor. For these reasons as well as problems with hepatotoxicity, TCE lost popularity in North America and Europe to more potent anesthestics such as halothane by the 1960s. The symptoms of acute non-medical exposure are similar to those of alcohol intoxication, beginning with headache, dizziness, and confusion and progressing with increasing exposure to unconsciousness. Respiratory and circulatory depression can result in death. Much of what is known about the human health effects of trichloroethylene is based on occupational exposures. Beyond the effects to the central nervous system, workplace exposure to trichloroethylene has been associated with toxic effects in the liver and kidney. Over time, occupational exposure limits on trichloroethylene have tightened, resulting in more stringent ventilation controls and personal protective equipment use by workers. Research from Cancer bioassays performed by the National Cancer Institute (later the National Toxicology Program) showed that exposure to trichloroethylene is carcinogenic in animals, producing liver cancer in mice, and kidney cancer in rats. The National Toxicology Program’s 11th Report on Carcinogens categorizes trichloroethylene as “reasonably anticipated to be a human carcinogen”, based on limited evidence of carcinogenicity from studies in humans and sufficient evidence of carcinogenicity from studies in experimental animals. One recent review of the epidemiology of kidney cancer rated cigarette smoking and obesity as more important risk factors for kidney cancer than exposure to solvents such as trichloroethylene. In contrast, the most recent overall assessment of human health risks associated with trichloroethylene states, "[t]here is concordance between animal and human studies, which supports the conclusion that trichloroethylene is a potential kidney carcinogen". The evidence appears to be less certain at this time regarding the relationship between humans and liver cancer observed in mice, with the US NAS suggesting that low-level exposure might not represent a significant liver cancer risk in the general population. Recent studies in laboratory animals and observations in human populations suggest that exposure to trichloroethylene might be associated with congenital heart defects While it is not clear what levels of exposure are associated with cardiac defects in humans, there is consistency between the cardiac defects observed in studies of communities exposed to trichloroethylene contamination in groundwater, and the effects observed in laboratory animals. A study published in August 2008, has demonstrated effects of TCE on human mitochondria. The article questions whether this might impact female reproductive function. Occupational exposure to TCE was reported to correlate with development of symptoms of Parkinson's Disease in three laboratory workers. A retrospective twin study of pairs discordant for Parkinson's showed a six-fold increase in Parkinson's risk associated with TCE workplace exposure. The health risks of trichloroethylene have been studied extensively. The U.S. Environmental Protection Agency (EPA) sponsored a "state of the science" review of the health effects associated with exposure to trichloroethylene. The National Academy of Sciences concluded that evidence on the carcinogenic risk and other potential health hazards from exposure to TCE has strengthened since EPA released their toxicological assessment of TCE, and encourages federal agencies to finalize the risk assessment for TCE using currently available information, so that risk management decisions for this chemical can be expedited. In Europe, the Scientific Committee on Occupational Exposure Limit Values (SCOEL) recommends for trichloroethylene an occupational exposure limit (8 hour time-weighted average) of 10 ppm and a short-term exposure limit (15 min) of 30 ppm. Some are exposed to TCE through contaminated drinking water. With a specific gravity greater than 1, trichloroethylene can be present as a dense nonaqueous phase liquid if sufficient quantities are spilled in the environment. Another significant source of vapor exposure in Superfund sites that had contaminated groundwater, such as the Twin Cities Army Ammunition Plant, was by showering. TCE readily volatilizes out of hot water and into the air. Long, hot showers would then volatilize more TCE into the air. In a home closed tightly to conserve the cost of heating and cooling, these vapors would then recirculate. The first known report of TCE in groundwater was given in 1949 by two English public chemists who described two separate instances of well contamination by industrial releases of TCE. Based on available federal and state surveys, between 9% to 34% of the drinking water supply sources tested in the U.S. may have some TCE contamination, though EPA has reported that most water supplies are in compliance with the maximum contaminant level (MCL) of 5 ppb. In addition, a growing concern in recent years at sites with TCE contamination in soil or groundwater has been vapor intrusion in buildings, which has resulted in indoor air exposures, such is in a recent case in the McCook Field Neighborhood of Dayton, Ohio. Trichloroethylene has been detected in 852 Superfund sites across the United States, according to the Agency for Toxic Substances and Disease Registry (ATSDR). Under the Safe Drinking Water Act of 1974, and as amended annual water quality testing is required for all public drinking water distributors. The EPA'S current guidelines for TCE are online. It should be noted that the EPA's table of "TCE Releases to Ground" is dated 1987 to 1993, thereby omitting one of the largest Superfund cleanup sites in the nation, the North IBW in Scottsdale, Arizona. Earlier, TCE was dumped here, and was subsequently detected in the municipal drinking water wells in 1982, prior to the study period. In 1988, the EPA discovered tons of TCE that had been leaked or dumped into the ground by the United States military and semiconductor industry (companies including Fairchild Semiconductor, Intel Corporation, and Raytheon Company) just outside NASA Ames in Moffett Field, Mountain View, California. In 1998, the View-Master factory supply well in Beaverton, Oregon was found to have been contaminated with high levels of TCE. It was estimated that 25,000 factory workers had been exposed to it from 1950–2001. Private groundwater well sampling results in Lisle, Illinois in 2001. The areas shaded in red represent private wells that came back with detectable levels of trichloroethylene from their tests. Plume on map extends down from Ogden Avenue in Lisle, IL to 63rd Street in Woodridge, Illinois. In the case of Lisle, Illinois, releases of trichloroethylene (TCE) had allegedly occurred on the Lockformer property beginning in 1968 and continuing for an undetermined period. The company used TCE in the past as a degreaser to clean metal parts. Contamination at the Lockformer site is presently under investigation by the U.S. Environmental Protection Agency (USEPA) and Illinois EPA. In 1992, Lockformer conducted soil sampling on their property and found TCE in the soil at levels as high as 680 parts per million (ppm). During the summer of 2000, a group of residents hired legal counsel, and on October 11, 2000, these residents had their private well water tested by a private environmental consultant. 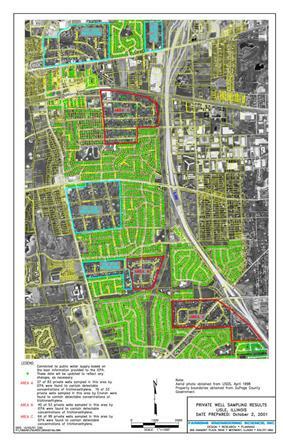 The group owned homes south of the Lockformer property in the suspected path of groundwater flow. The consultant collected a second round of well water samples on November 10, 2000, and TCE was detected in some of the wells sampled. Beginning in December 2000, Illinois EPA collected about 350 more private well water samples north and south of the Lockformer property. As of 2007, 57,000 pounds, or 28.5 tons of TCE have been removed from the system of wells that once supplied drinking water to the residents of Scottsdale, Arizona. One of the three drinking water wells previously owned by the City of Phoenix and ultimately sold to the City of Scottsdale, tested at 390 ppb TCE when it was closed in 1982. The City of Scottsdale recently updated its website to clarify that the contaminated wells were "in the Scottsdale area," and amended all references to the measured levels of TCE discovered when the wells were closed (including "390 ppb") to "trace". Marine Corps Base Camp Lejeune in North Carolina may be the largest TCE contamination site in the country. Legislation could force the EPA to establish a health advisory and a national public drinking water regulation to limit trichloroethylene. 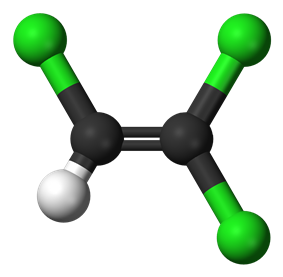 U.S. EPA: Trichloroethylene—TCE information website - U.S. Environmental Protection Agency—EPA. Euro Chlor: Q&A on Trichloroethylene - Euro Chlor, European Chlorinated Solvent Association—ESCA, World Chlorine Council. NAS: Assessing Human Health Risks of Trichloroethylene - Key Scientific Issues - U.S. National Academy of Sciences—NAS. U.S. NIH: Eleventh Report on Carcinogens: Trichloroethylene Monograph - U.S. National Institutes of Health—NIH. NIOSH Safety and Health Topic: Trichloroethylene—TCE - U.S. National Institute for Occupational Safety and Health—NIOSH. Doherty, Richard E. (2000). "A History of the Production and Use of Carbon Tetrachloride, Tetrachloroethylene, Trichloroethylene and 1,1,1-Trichloroethane in the United States: Part 2--Trichloroethylene and 1,1,1-Trichloroethane". Environmental Forensics 1 (2): 83–93. Lipworth, Loren; Tarone, Robert E.; McLaughlin, Joseph K. (2006). "The Epidemiology of Renal Cell Carcinoma". The Journal of Urology 176 (6): 2353–8. ^ a b c d e f "NIOSH Pocket Guide to Chemical Hazards #0629". ^ "Trichloroethylene". Sigmaaldrich.com. Retrieved 20 October 2014. ^ a b "Trichloroethylene". Immediately Dangerous to Life and Health. ^ "Trichloroethylene (CASRN 79-01-6)". Epa.gov. Retrieved 20 October 2014. ^ United States Environmental Protection Agency (September 2011). "Toxicological Review of Trichloroethylene" (PDF). EPA 635 (R–09/011F). ^ P. Fenton (2000). "Volatile Anaesthetic Agents". Retrieved 2012-02-11. ^ "Santa Susana Field Laboratory : The Use of Trichloroethylene at NASA's SSFL Sites" (PDF). Ssfl.msfc.nasa.gov. Retrieved 22 February 2015. ^ a b "F-1 Rocket Engine Operating Instructions". Ntrs.nasa.gov. Retrieved 20 October 2014. ^ "Production of R-134a" (PDF). Nd.edu\accessdate=21 February 2015. ^ Orkin, F. K. (1986) Anesthesia Systems (Chapter 5). In R. D. Miller (Ed. ), Anesthesia (second edition). New York, NY: Churchill Livingstone. ^ Stevens, W.C. and Kingston H. G. G. (1989) Inhalation Anesthesia (Chapter 11). In P. G. Barash et al. (Eds.) Clinical Anesthesia. Philadelphia, PA: Lippincott. ^ a b c "Trichloroethylene | Technology Transfer Network Air Toxics Web site | US EPA". Epa.gov. Retrieved 2013-10-05. ^ "ATSDR - Redirect - Public Health Statement: Trichloroethylene". Atsdr.cdc.gov. 2010-07-19. Retrieved 2013-10-05. ^ Lipworth, Loren; Tarone, Robert E.; McLaughlin, Joseph K. (2006). "The Epidemiology of Renal Cell Carcinoma". The Journal of Urology 176 (6): 2353–8. ^ a b "Assessing the Human Health Risks of Trichloroethylene: Key Scientific Issues | The National Academies Press". Nap.edu. Retrieved 2015-02-21. ^ Goldberg, Stanley J.; Lebowitz, Michael D.; Graver, Ellen J.; Hicks, Susan (1990). "An association of human congenital cardiac malformations and drinking water contaminants". Journal of the American College of Cardiology 16 (1): 155–64. ^ Dawson, Brenda V.; Johnson, Paula D.; Goldberg, Stanley J.; Ulreich, Judith B. (1993). "Cardiac teratogenesis of halogenated hydrocarbon—Contaminated drinking water". Journal of the American College of Cardiology 21 (6): 1466–72. ^ Boyer, A. S.; Finch, WT; Runyan, RB (2000). "Trichloroethylene Inhibits Development of Embryonic Heart Valve Precursors in Vitro". Toxicological Sciences 53 (1): 109–17. ^ Collier, J. Michael; Selmin, Ornella; Johnson, Paula D.; Runyan, Raymond B. (2003). "Trichloroethylene effects on gene expression during cardiac development". Birth Defects Research Part A: Clinical and Molecular Teratology 67 (7): 488–95. ^ Drake, Victoria J.; Koprowski, Stacy L.; Lough, John; Hu, Norman; Smith, Susan M. (2006). "Trichloroethylene Exposure during Cardiac Valvuloseptal Morphogenesis Alters Cushion Formation and Cardiac Hemodynamics in the Avian Embryo". Environmental Health Perspectives 114 (6): 842–7. ^ Xu, Feng; Papanayotou, Irene; Putt, David A.; Wang, Jian; Lash, Lawrence H. (2008). "Role of mitochondrial dysfunction in cellular responses to S-(1,2-dichlorovinyl)-l-cysteine in primary cultures of human proximal tubular cells". Biochemical Pharmacology 76 (4): 552–67. ^ Kasarskis, Edward J.; Lindquist, Jennifer H.; Coffman, Cynthia J.; Grambow, Steven C.; Feussner, John R.; Allen, Kelli D.; Oddone, Eugene Z.; Kamins, Kimberly A.; Horner, Ronnie D.; Als Gulf War Clinical Review Team (2009). "Clinical aspects of ALS in Gulf War Veterans". Amyotrophic Lateral Sclerosis 10 (1): 35–41. ^ Goldman, Samuel M.; Quinlan, Patricia J.; Ross, G. Webster; Marras, Connie; Meng, Cheryl; Bhudhikanok, Grace S.; Comyns, Kathleen; Korell, Monica; et al. (2012). "Solvent exposures and parkinson disease risk in twins". Annals of Neurology 71 (6): 776–84. ^ Scott, Cheryl Siegel; Cogliano, V. James (2000). "Trichloroethylene Health Risks--State of the Science". Environmental Health Perspectives 108 (Suppl 2): 159–60. ^ "SCOEL recommendations". 2011-04-22. Retrieved 2011-04-22. ^ Lyne FA, McLachlan T (1949). "Contamination of water by trichloroethylene" p. 513 in Lilliman, B.; Houlihan, J. E.; Lyne, F. A.; McLachlan, T. (1949). "Notes". The Analyst 74 (882): 510–3. ^ "Consumer Factsheet on: Trichloroethylene" (PDF). Epa.gov. Retrieved 22 February 2015. ^ "Long-Term Study Begins" (PDF). Epa.gov. Retrieved 22 February 2015. 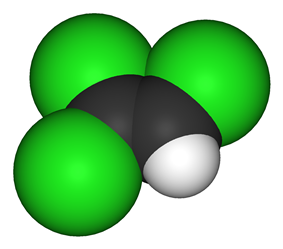 ^ "ATSDR - ToxFAQs: Trichloroethylene (TCE)". Atsdr.cdc.gov. Retrieved 20 October 2014. ^ "Safe Drinking Water Act (SDWA) | Safe Drinking Water Act | US EPA". Epa.gov. Retrieved 2013-10-05. ^ "Basic Information about Trichloroethylene in Drinking Water | Basic Information about Regulated Drinking Water Contaminants | US EPA". Water.epa.gov. Retrieved 2015-02-21. ^ "Superfund Site Overview North Indian Bend Wash Superfund Site, Pacific Southwest, US EPA". Yosemite.epa.gov. Retrieved 2013-10-05. ^ "Superfund Site Overview Middlefield-Ellis-Whisman (MEW) Study Area, Pacific Southwest, US EPA". Yosemite.epa.gov. Retrieved 2013-10-05. ^ "Registry Finds High Cancer Numbers Around Moffett Field Superfund Site". NBC Bay Area. Retrieved 2015-02-21. ^ "ATSDR-PHA-HC-View-Master Factory Supply Well-p-toc". Atsdr.cdc.gov. 2003-10-20. Retrieved 2013-10-05. ^ "Fact Sheet #1 - Lisle Groundwater Contamination Investigation". Epa.state.il.us. Retrieved 2013-10-05. ^ "Superfund | Region 9 | US EPA". Epa.gov. 2009-12-16. Retrieved 2013-10-05. ^ "North Indian Bend Wash (NIBW) Superfund Site". Scottsdaleaz.gov. 2012-02-29. Retrieved 2013-10-05. ^ "Poisoned RCA Workers Demand Justice and Peace" (PDF). Cphan.org. Retrieved 22 February 2015. ^ "Outlooks: Readings for Environmental Literacy - Google Books". Books.google.com. Retrieved 2015-02-21. ^ "N.C. neighbors aghast to learn drinking water contaminated for years - Investigations". Openchannel.nbcnews.com. Retrieved 2013-10-05. ^ "Trichloroethylene (IARC Summary & Evaluation, Volume 63, 1995)". Inchem.org. Retrieved 2015-02-21. ^ "Council Directive 98/24/EC" (PDF). Eur-lex.europa.eu. Retrieved 21 February 2015. ^ "Directive 2004/37/EC" (PDF). Eur-lex.europa.eu. Retrieved 21 February 2015. ^ "LexUriServ.do". Eur-lex.europa.eu. Retrieved 20 October 2014. ^ "Directive 2010/75/EU" (PDF). Eur-lex.europa.eu. Retrieved 21 February 2015. ^ "L_2013108EN.01000101.xml". Eur-lex.europa.eu. Retrieved 20 October 2014. ^ "Military". CPEO. Retrieved 2013-10-05. ^ Ralph Vartabedian (2006-03-29). "How Environmentalists Lost the Battle Over TCE". Los Angeles Times. p. 4. Retrieved 2010-01-25. ^ Ralph Vartabedian (2006-03-29). "How Environmentalists Lost the Battle Over TCE". Los Angeles Times. p. 5. Retrieved 2010-01-25. ^ "Home - Nitrosomonas europaea". Genome.jgi-psf.org. 2015-02-05. Retrieved 2015-02-21. ^ a b Robert L. Irvine; Subhas K. Sikdar. Bioremediation Technologies: Principles and Practice. Books.google.com. Retrieved 21 February 2015. The U.S. military has virtually eliminated its use of the chemical, purchasing only 11 gallons in 2005. About 100 tons of it is used annually in the U.S. as of 2006. In recent times, there has been a substantial reduction in the production output of trichloroethylene; alternatives for use in metal degreasing abound, chlorinated aliphatic hydrocarbons being phased out in a large majority of industries due to the potential for irreversible health effects and the legal liability that ensues as a result. In response to the heightened awareness of environmental toxins such as TCE and the role they may be playing in childhood disease, in 2007, Senator Barack Obama proposed S1068, co-sponsored by Hillary Clinton and John Kerry. This legislation aimed to inform and protect communities that are threatened with environmental contamination. Senator Clinton's own bill, S1911, is known as the TCE Reduction Act. Political appointees in the EPA sided with the Pentagon and agreed to pull back the risk assessment. In 2004, the National Academy of Sciences was given a $680,000 contract to study the matter, releasing its report in the summer of 2006. The report has raised more concerns about the health effects of TCE. The DoD has about 1,400 military properties nationwide that are contaminated with trichloroethylene. Many of these sites are detailed and updated by www.cpeo.org and include a former ammunition plant in the Twin Cities area. Twenty three sites in the Energy Department's nuclear weapons complex — including Lawrence Livermore National Laboratory in the San Francisco Bay area, and NASA centers, including the Jet Propulsion Laboratory in La Cañada Flintridge are reported to have TCE contamination. In 2001, a draft report of the Environmental Protection Agency (EPA) laid the groundwork for tough new standards to limit public exposure to trichloroethylene. The assessment set off a fight between the EPA and the Department of Defense (DoD), the Department of Energy, and NASA, who appealed directly to the White House. They argued that the EPA had produced junk science, its assumptions were badly flawed, and that evidence exonerating the chemical was ignored. The Solvents Emissions Directive 1999/13/EC and Industrial Emissions Directive 2010/75/EC impose binding minimum requirements for emissions of trichloroethylene to the environment for certain activities, including surface cleaning. However, the activities with solvent consumption below a specified threshold are not covered by these minimum requirements. Existing EU legislation aimed at protection of workers against risks to their health (including Chemical Agents Directive 98/24/EC and Carcinogens Directive 2004/37/EC) currently do not imposes binding minimum requirements for controlling risks to workers health during the use phase or throughout the life cycle of trichloroethylene. However, in case the ongoing discussions under the Carcinogens Directive will result in setting of a binding Occupational Exposure Limit for trichloroethylene for protection of workers; this conclusion may be revisited. In the European Union, the Scientific Committee on Occupational Exposure Limits (SCOEL) recommends an exposure limit for workers exposed to trichloroethylene of 10 ppm [54.7 mg/m3] for 8-hour TWA and of 30 ppm [164.1 mg/m3] for STEL (15 mins). Half a dozen state, federal, and international agencies now classify trichloroethylene as a probable carcinogen. The International Agency for Research on Cancer considers trichloroethylene a Group 2A carcinogen, indicating that it considers it is probably carcinogenic to humans. California EPA regulators consider it a known carcinogen and issued a risk assessment in 1999 that concluded that it was far more toxic than previous scientific studies had shown. Until recent years, the US Agency for Toxic Substances and Disease Registry (ATSDR) contended that trichloroethylene had little-to-no carcinogenic potential, and was probably a co-carcinogen—that is, it acted in concert with other substances to promote the formation of tumors. In 2012, neighbors in an area off of Stony Hill Road, Wake Forest, NC, learned they have been drinking, bathing and cooking in TCE contaminated water for years as authorities failed to follow up on the spread of TCE.